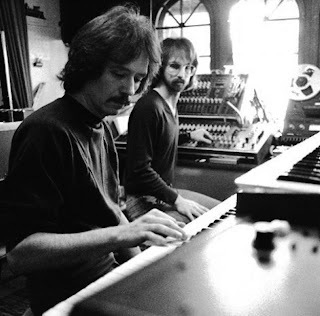 John Carpenter and Alan Howarth, circa 1981. And while you're there, why not pick up issue 17 of Paracinema Magazine. Inside you'll find the likes of “Endemic Madness”: Subversive 1930s Horror Cinema by Jon Towlson, You Can Clean Up the Mess, But Don’t Touch My Coffin: The Legacy of Sergio Corbucci’s Django by Ed Kurtz and one of my own essays, an examination of the Gothic influences of Sergio Martino’s giallo Your Vice is a Locked Room and Only I Have the Key. Cool stuff, James! Downloading now and gonna listen on my drive home from work. Can't wait! Really hope you like it, Aaron! Such an underrated composer and absolute legendary filmmaker - just wish he was as good as he used to be! I think he's getting more recognition for his innovative scores these days - but you're right: still a very underrated composer.